As seen on Food Network’s “Cupcake Wars”!!! We battled on Season 9 of the popular Cupcake show! Here is the audition video that got us on the show! I hope you enjoy it as much as we enjoyed filming it, and if you missed our episode you can find it iTunes…Season 9 Match.com! 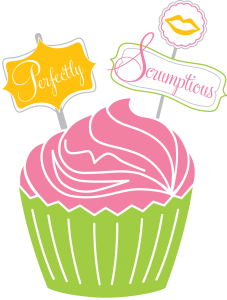 Stop in on your Birthday to celebrate with a FREE cupcake at Perfectly Scrumptious! No purchase necessary! Order at least a $60 value of cupcakes and or cake pops and get a FREE 6 inch smash cake of your choice for your babies eating and smashing pleasure!! !